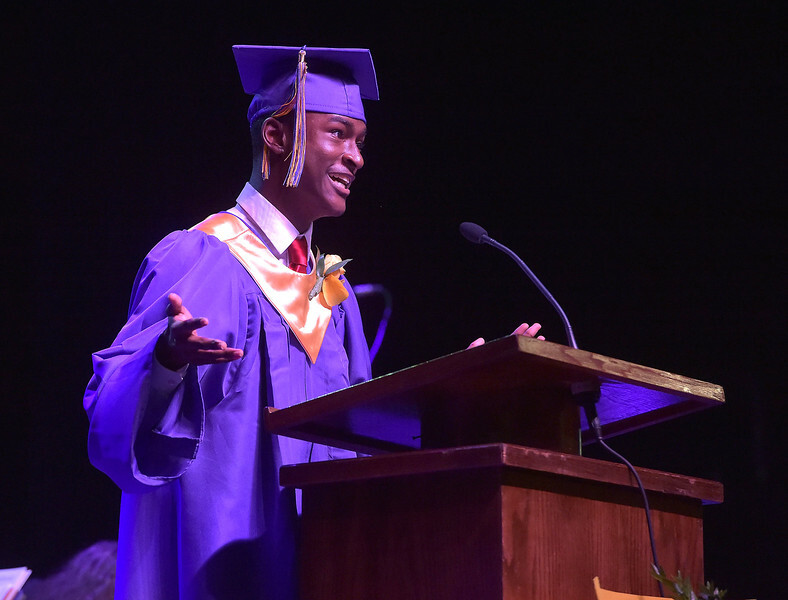 PETE BANNAN-DIGITAL FIRST MEDIA Upper Darby High School senior Sa'id Muhammad gave prehaps most poignant speech when he read about his struggle to learn to read during their 120th commencement which was held at the Tower theater Thursday morning. "I struggled with reading, and never throught it could. I have a learning disability, Cerebal Palsey," Muhammad said. "I now read at a sixth grade level, I never let it hold me back."